Here is a story of some back and forths I had with a Green Hope Farm friend who emailed us this week. Whenever I say Green Hope Farm friend, please know that it might be the first time or the fiftieth time I have connected with someone but always, it feels like you are friends. I say this because I want everyone reading this blog to feel included in my use of the word friend. Here is a shortened version of this Green Hope Farm friend’s email request, shared with her permission. I felt very connected to this woman’s request as I have had many experiences of things not flowing and me wondering what I was doing wrong. I appreciated her deep vulnerability and felt connected to her through her sharing. When I received Flower Essence suggestions from the Angels for her, I felt lifted up even more. As is so often the case, the Angels’ suggestions for her helped me too because, while the Essences were very practical in their support to connect her more deeply to potential clients, the suggestions also carried an energy that she was not doing anything wrong and that there were factors in play that had nothing to do with her gifts or her efforts- I found this comforting. These comments and the purposes of many of the Essences chosen suggested we might find it easier to be kind to ourselves if we really accepted that there are A LOT of factors beyond our control that explain why our efforts sometimes don’t go where we’d hoped. Karma is too simplistic a way of talking about this. Conversations of karma can devolve into “an eye for an eye” ideas about energy balancing that just make us feel shame and are only a small piece of the puzzle. Maybe the notion of “good news, bad news, who knows?” better represents all this. After all, this phrase serves to remind us that there are a myriad number of reasons why somethings work out and some don’t AND that sometimes what looks like working out is not a positive but what looks like failure is actually a positive. For example, I started my speaking career on the same circuit as Carolyn Myss who went on to have an enormous career in the public eye. I am ever so grateful that is not how it worked out for me as I don’t think I have the electrical system to handle that kind of limelight. At the time I could have experienced her trajectory versus mine as a failure on my part, but I was just so relieved to not be speaking to larger and larger crowds that I could feel the grace in my circumstances and take to heart the Angels remarks that it simply wasn’t my path or the best direction for my life to go. All this reminded me of one of my most favorite dreams which I have described here before- In the dream, I examine a diorama that says “Molly’s Life” on it, and I realize all the pieces in the diorama cannot be moved. Then I notice that the diorama itself is being held up by a being I recognize as God. As the dream ends, God winks at me! I don’t mean to weigh in on the issue of fate here with that dream reference, but there was much about this mix that reminded me that FOR OUR OWN GOOD loving forces are managing our lives- our divine self, Angels, divinity itself- and that our effort is enough regardless of outcome- Outcome is in divinity’s wise hands, effort is in ours. While I linked all the Angels’ Essences suggestions below to their definitions page on the website- all except Yellow Rose of Texas which doesn’t yet have its own page- I have also added some possible reasons why the Angels chose these Essences for this Green Hope Farm friend’s mix. Turk’s Cap Cactus– This Essence helps people get us and puts us on their maps. 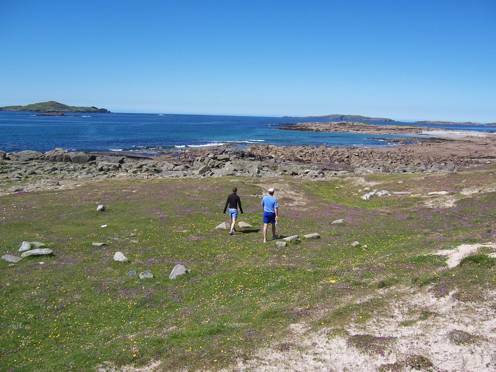 Inishbofin– This Green Hope Farm friend mentioned that this issue felt really old. 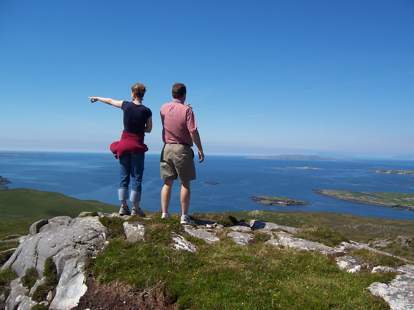 Because Inishbofin helps us bring forward strengths from other incarnations, I feel like it might move forward her own momentum to solve the heart of her concerns whether it is to reframe her understanding of what she actually is doing or have her practice expand. Spiddal– This one helps us see painful circumstances in this life or past lives from an empowered place of perspective and helps us release all lingering damage these circumstances might have caused. 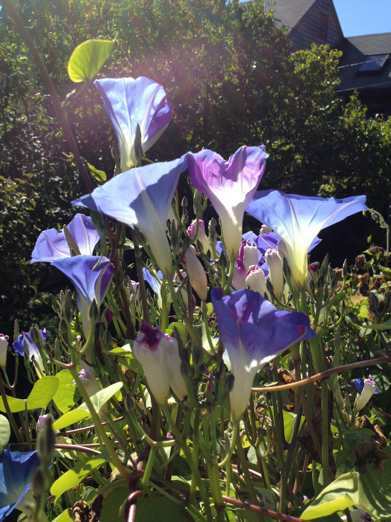 The Eight Garden– A powerhouse of manifestation- This garden helped get Green Hope Farm Flower Essences rolling, and its Essence keeps on helping with manifestation of all sorts. Flow Free– You have heard me sing the praises of this one ad nauseum- but heck, it deserves the praise for helping keep our energy system flowing on every level. I lean on it to help me release shame and self criticism when I fall into a circumstance of assuming that “things going wrong” mean I am not enough. I AM ENOUGH! 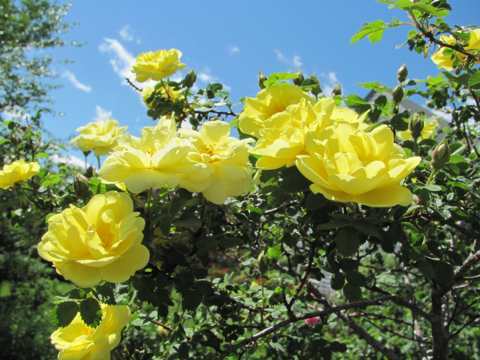 Yellow Rose of Texas- This long time beloved Rose from the additional Essence list often comes to the fore to help us untangle a knot or problem. It is a joyous, wise and profound friend. Belerephon of the Open Door– If a door needs to be opened, this is the one to reach for- a profound and unwaivering friend. Box Briar– This one supports a release from old troubles when other approaches to the problems have failed to bring results. Effort and Grace( described in the previous blog) – With this Essence begins the turn in the Angels’ suggestions as this one is all about doing our best, knowing this is all that we can do and then seeing the grace in whatever does or doesn’t happen. Love it and Leave it– This is such a good one to pair with Effort and Grace as it reminds us to give up on outcomes as nothing defines us but God. Carry Less– We view the world through filters that lead us to think we know what success looks like- well, I do anyways- and this one helps us release these filters so we can experience our situation with a lot less judgment and more clarity. All Ego Contracts Null & Void– I read this quip recently where someone said, “I learned shame from other people then learned how to do it all on my own.” This one is another powerhouse for releasing all those negative judgments we lay on ourselves. It also helps us release ideas and rules we hold that no longer serve us but instead bind us to see ourselves, our situation or our course of action in limiting ways. Fragrant Ladies Tresses– Helps us feel safe in letting go and letting God. Nodding Ladies Tresses– Another untangler of knots, this Flower Essence helps us release ourselves from the mental, emotional, spiritual as well as physical knots that bind us. Omey Island– Sometimes the natural course of things for our life is quiet, a time of being cut off from the hustle and bustle and plunged into a simpler rhythm- a place of being in the world but not of it. Accepting that this is alright and more aligned with our purpose than what we imagine our path can be a complex challenge. This Essence combination from this tidal island in Ireland helps us do this. Here is a story about the task that Omey Island supports us with. I was a very social person in my youth. Well into my twenties I had a pack of friends and was ever in a whirl of many social activities. I even managed to make my night out at a meditation class end in a very social time at a local soda fountain. I can remember the meditation teacher exhorting us each week not to go empty our full buckets of energy with a lot of socializing after class. We would tear out of there to our weekly gathering at the soda fountain laughing our heads off! When I began Green Hope Farm I naturally made it a place bustling with people and gatherings. In those early years, the Angels also had me travel a lot and speak at many conferences about what we were doing here at the farm. Then abruptly, my inner guidance sent my life in a very different direction. After a time in which I was out on the road speaking each weekend for months on end, I received word that I was done with that and would be staying home. It took me a very long time to understand exactly what the Angels guiding me meant by staying home. While the road trips stopped immediately, my suddenly quiet life became even more quiet over the years. Even the gardens became much quieter as the Angels asked us to close them to visitors. Of course, I have thought a lot about the whys of all of this, but I have no real answers. In surrendering to what we are asked to do there are no guarantees or necessarily any explanations, but my quiet life has taught me one thing for certain: nothing is unimportant. In a world spinning so very fast with so many events packed in, we can think there is very little going on in a small simpler life. But living in a smaller life, I am aware how significant each encounter with another person, animal or Flower is. It makes me aware that we really have no idea the healing things we do. In a busy life, someone’s kindness to me might feel unimportant to them, but if it is my only trip off the farm that week, this person’s act of kindness is not unimportant to me. I now am firmly convinced we will never know the most healing thing we ever did because we really have no idea what others may need or how we have helped them in simple ways we haven’t even thought were important. My pared down life made me experience this Green Hope Farm friend’s query about a Flower Essence for her healing practice as a healing gift to me. It made me feel she was doing much more healing work than she was aware of. After all, her brave and vulnerable request for Flower Essences on this topic helped me, and she thought she was asking for my help! Here they are! The New Flower Essences from Green Hope Farm for 2014 including our new Venus Garden Flower Essence combination, Effort and Grace. The Angels encouraged me to have them ready for you on this full moon in November! Every Flower Essences has a photo of its Flower except White Mulberry. This will have a photo as soon as we find the ones we took! These new beloveds are not yet on the order blank but are ready and available for you now! So with much joy and excitement, we welcome these new beloveds! 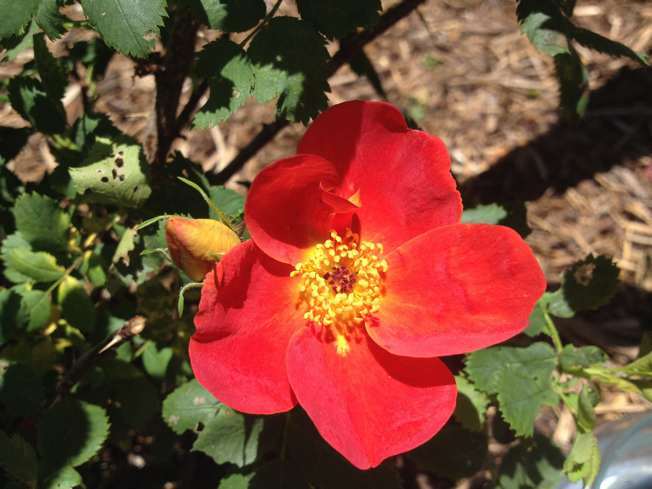 This Rose helps us reawaken passion after firestorms have left us drained and flat in our enthusiasms. It sparks us to deeply embrace our life situation again with a zest tempered by the wisdom gained from the firestorms. It helps us move forward to refine our passions in more evolved ways in alignment with our unfolding experience of self. -Helps elevate a relationship or creative endeavor to a whole new level of loving expression. I AM ardor refined and restored. Black Moss Rose helps us hold true to our core identity as a divine being when surface circumstances or other people press us to change. It is particularly helpful when our heartfelt choices don’t make sense to others. Black Moss Rose helps us make peace with our purpose so we can stay true to self regardless of external pressures to change course. Our destiny is between us and God and no one else. This Rose helps us know this! 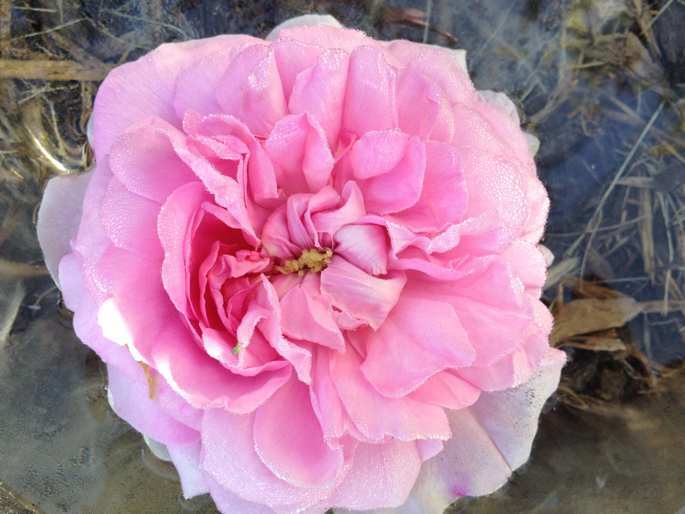 -When we are in a place of uncertainty and others behave as if they have the inside track on our lives, Black Moss Rose helps us be comfortable in our uncertainty until our own heartfelt guidance about the way forward grows clear. -Helps us reframe what others might see as liabilities or challenges in our situation so we experience them as strengths that help us stay the course. I AM unwavering in my trust of myself and my path. This Flower comes from the Cape Floral kingdom of South Africa, the source of so many wise Flowers here to help us cross the spiritual thresholds of this millennium. 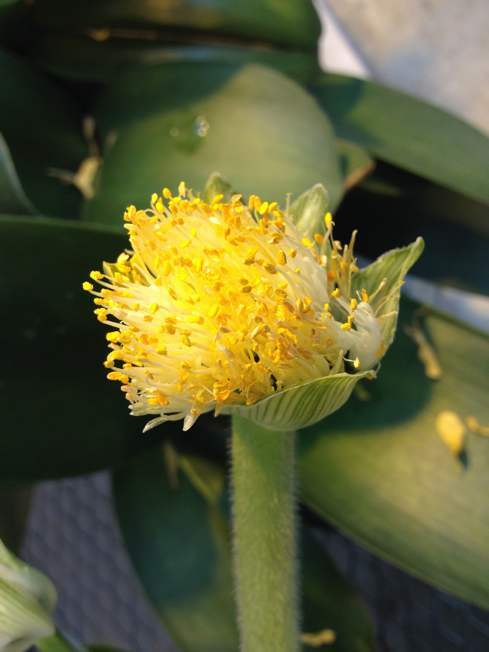 Many varieties of Blood Lily have blood red Flowers, but this variety has luminous bundles of individual white filaments tipped in large yellow anthers. It holds information to help us shift from fear and panic to centered calm during extreme dramas or situations that feel like bloodbaths. It helps us transmute our fear during intense situations into a measured, balanced response infused with wisdom and clarity. -In heated interpersonal dramas this one helps break the cycle of reactivity by helping us find within us calm and sure knowledge that we have many choices about how we can to respond. -Helps calm fears around scary events like epidemics. This would be my suggestion for those worried about the Ebola epidemic. In any situation, I AM calm, certain of my choices and measured in my response. Okay, you probably didn’t need three, make that four pictures of Charles de Mills but it is SO LOVELY I couldn’t resist! -Useful when our electrical field contracts with emotions such as fear, guilt, anger and doubt. -Helps us trust, release and open our field so that light can wash through to cleanse and restore us on every level. I AM the flow of restorative light through every cell of my being. Dainty Bess helps us reach into our depths to bring to consciousness hard kernels of sorrow, bitterness and disappointments. She supports us to bring these deep griefs to the surface then let them go knowing the grace of an ever present light will dissolves them all away. 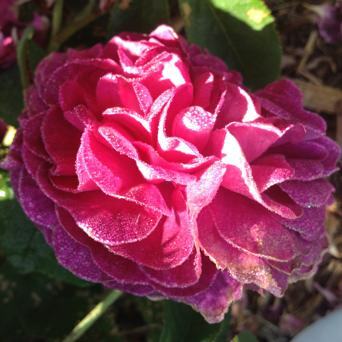 This Rose works with an infinitely kind, soft and gentle touch so we never feel shame as we release these burdens. Instead she basks us in an experience of being profoundly loved. 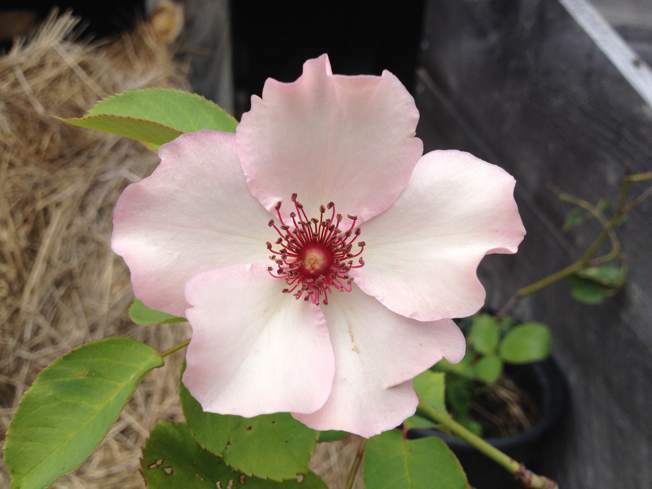 The kindness as well as the thoroughness of this Rose is reflected in her soft pink petals and stamens of a deeper pink that hold aloft many particular maroon anthers. Even in her appearance she shows us how she lifts up and relieves us of all our sorrows. I AM the sweet and gentle dissolution of any feelings that it would serve me to release. Before we broke ground for this year’s Venus Garden, the Angels told us the name of the garden was Effort and Grace. Throughout the growing season, I spent much time thinking about what was meant by the word EFFORT and what was meant by the word GRACE. However, when I wrote this description the word AND came to feel of equal significance in my understanding of this garden and its Flower Essence combination mix. The garden was planted by the community of people here at the farm. I have often planted this particular garden, known from year to year as the Venus Garden, by myself or with just one or two other people. It felt significant that a dozen people were involved. It suggested to me that the garden was going to be about community. And so it was. When we finished planting the many concentric rings of yellow, white, purple and pink Flowers, our final task was to tie twine from individual stakes on the outside of the garden to a very tall birch pole in the center of the garden. The gesture felt symbolic of each of us seeking connection to a greater whole and asking for grace to experience this wholeness. The summer was complicated with many interpersonal dramas. The group of twelve had many levels of relationship with each other beyond the connection of working here. There were several sets of siblings, spouses and business partners to name just a few of the layers in the relationships. As is typical of the Venus Garden projects, the gardens stirred the pot, in this case bringing to the surface many of the things preventing us from experiencing our oneness. These interpersonal conflicts in our community were gifts in that they gave each of us opportunities to try and find our commonality beyond the personality shell of self interest. Sometimes we found this common ground. Sometimes we didn’t. The Angels encouraged us to wade into each mess together but also let people be where they were in their varying levels of interest in engagement. We learned that an experience of unity by one person did not mean we all saw the situation the same way or all experienced the same level of connection. The Angels consoled us that our efforts mattered no matter the apparent results. Toads abounded in the garden. I came to think of our efforts to surrender our differences and seek common ground as like the toads. Our efforts were warty, imperfect, earnest but deeply essential. The way our individual strands of twine were tied in the middle of the garden created a visual diamond shape. We began to call the garden Toads and Diamonds as well as Effort and Grace. We spoke of the grace of certain conflicts finding unexpected resolution and closure as the diamonds of our situation. We thought often of the exhortation, Be bold and mighty forces will come to your aid. This summer the boldness was going into messy interpersonal dynamics ready to surrender our agendas. Sometimes grace was simply remembering we were all one even when we didn’t experience this truth clearly. The plants in the garden grew in a way that encouraged us to keep surrendering self to the grace of a greater all encompassing love and oneness. 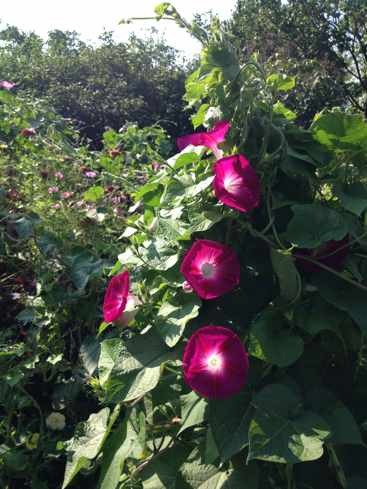 The relatively few vines we had planted next to our individual stakes transformed into an immense and glorious canopy of overarching, connected Flowers. 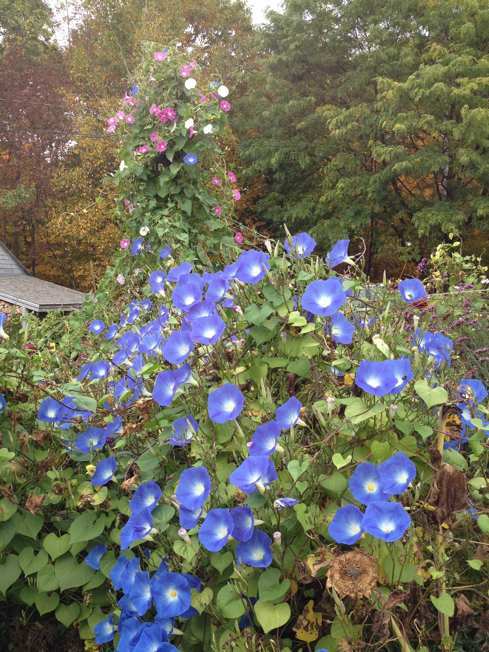 Our warty efforts were merged into an ocean of grace in the form of thousands of Morning Glory Flowers. Their blossoms reached to all corners of the garden and then up, up, up into the sky. The grace of the garden was a gift to everyone no matter their level of effort. Because of this, we could have interpolated that effort did not matter in the face of this grace. But the AND in the name of the garden suggested that those making an effort to surrender their personality agendas and seek the most loving path were experiencing grace differently. There were no guarantee or promises, but the grace felt deeply sweet to those making an effort. Effort elevated and sweetened grace. Grace elevated and sweetened effort. Many religious traditions suggest that divine grace is the only factor in play on the spiritual path while others suggest effort is the only thing that matters on this path. This garden suggested both mattered. The grace of an embracing oneness is helped by our efforts to meet the embrace. This Essence supports us to know our efforts matter no matter the surface outcome of these efforts. It helps us catch a whisper of a glimmer of the abiding reality of love beneath all form and comforts us that our toady but invaluable efforts will be met in full with a grace we can only dimly imagine. So many of us come from cultures that encourage us to feel shame about the intensity and volume of our emotional responses. 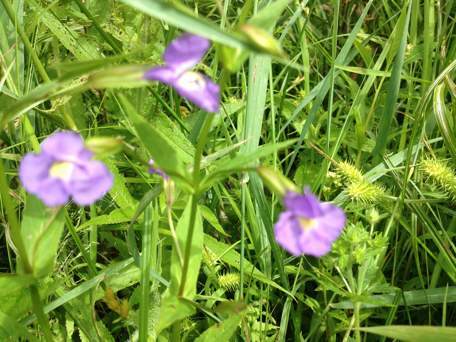 This Wildflower offers comprehensive support to release this shame. 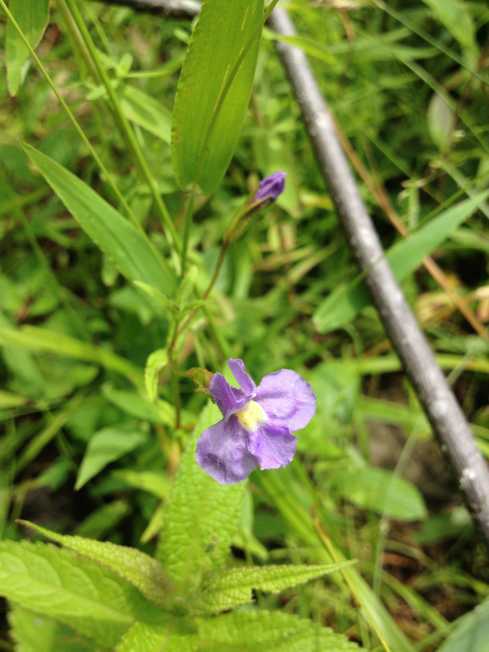 While the Hyssop family from which this Wildflower comes holds much information about forgiveness, this specific Flower knows there is nothing to forgive when it comes to what we feel. It helps us release all negative judgment about our emotions by showing us a way to respectfully contain our feelings as purposeful and good. Released from a response of guilt and shame, we are free to learn from our feelings versus fight to deny them. In this climate of acceptance, we can bring to our emotions the maturity of choice about how we want to make use of the information our feelings give us. No longer at war with our feelings, we can use our resources to bring a measured response to address the circumstances that precipitated the feelings in the first place. -Helpful for those of us have been shamed about our feelings or have been taught to think of emotions as a liability or weakness. -Particularly helpful for those of us who have been criticized as too emotional or overly dramatic. Helps us own our feelings as valid and not up for debate. -In relationships, supports us to move the focus from an attack on us as too emotional or our feelings as inappropriate to the real issues that are precipitating such strong feelings. I AM at peace with my emotions, embracing them as guideposts on my path. Helps us to recollect ourselves and our electrical systems when we are electrically frazzled, especially after too much time at our computers or other electronic devices. Shows us how to smooth and soften the glitches in our electrical field from too much electrical stimulation. -Very calming for “wired” individuals. -An excellent remedy to use in a spritzer. I AM the tranquility and calm of my restored electrical system. 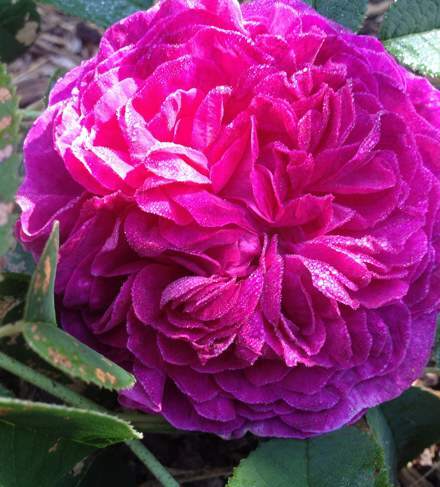 This Rose was first found in the ancient Persian city of Ispahan. During the middle ages this city was known as “half the world” as its presence on the silk road and forward thinking leadership made it a tremendously beautiful and dynamic, multicultural city. 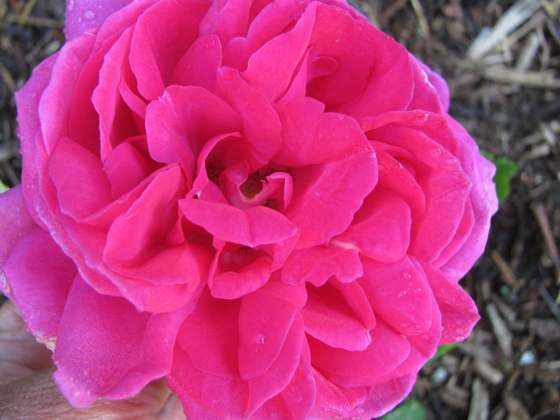 Ispahan Rose is a strong presence in a garden no matter what other Flowers are clamoring around it. It knows itself and what it expresses. As an Essence it helps us stay on our true course amidst the pull of many diverse forces and distractions. It helps us zero in on what matters to us and let go of what does not. It brings clarity, focus, discernment and determination to our understanding of the spiritual priorities in our life situation and what we need to do to take care of these priorities. -Cuts through any confusion we have about our situation to help us know what we need to know to move forward. I AM certain of the truth of my situation and know who I am and what I need to do. 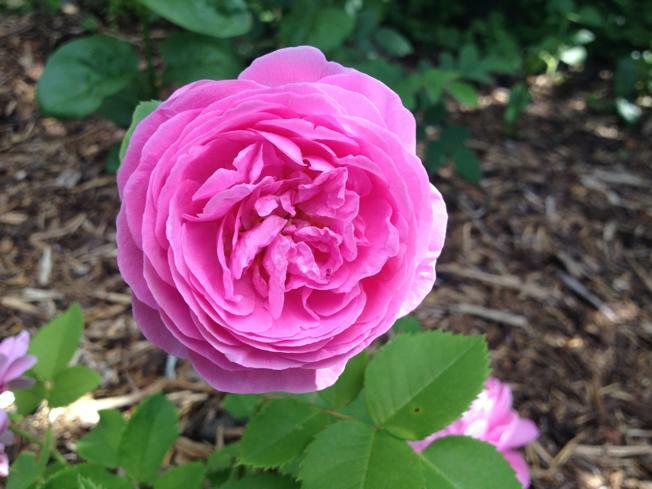 This warm pink Bourbon Rose blooms vigorously for a very long season. First found on the Pacific island of Reunion, Louise Odier is thought to be the result of a serendipitous cross between Old Blush China Rose and Autumn Damask Rose. 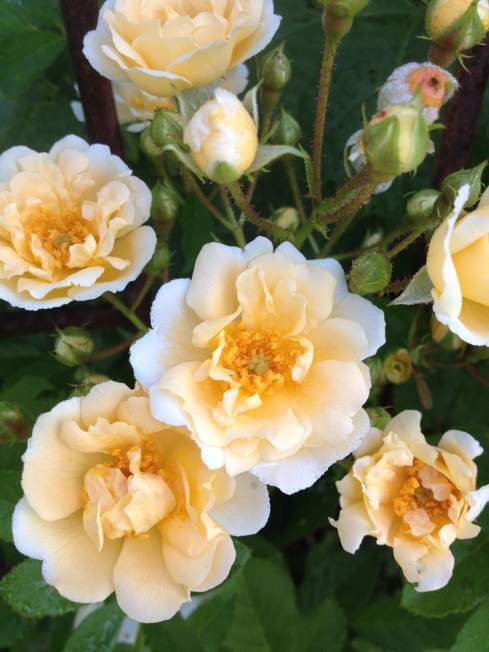 Regardless of our circumstances, Louise Odier Rose Essence helps us have the pluck and resolve to keep going with confidence in the goodness of ourselves and our situation even when others do not share our faith and optimism. It helps us attune to the divine reality beneath events, a reality that always supports us even when surface circumstances suggest otherwise. -In any undertaking, Louise Odier helps us have true grit: the passion, inner confidence and poise to keep going even when others dismiss our resolve as foolish or misguided. I AM certain of myself and the purposeful goodness of all of my life circumstances. Rosarian Graham Stuart Thomas said of this Rose, “possibly the most powerfully fragrant of all roses; the flowers are enormous, of intense rose-madder, shaded magenta, bulging with rolled petals, quartered* and opening to a great saucer face.” The Angels describe this as a Rose of Mercy. While Mercy is ever present for us, this Rose helps us feel the love of Angels, their tender concern and the matrix of Mercy which is the abiding reality behind all form. -Offers us a consoling comforting vibration that helps us feel more connected to the Angels that love us and watch over us. I AM ever loved and cared for. *Next season I will try to get a photo of this Rose that shows this quality of quartered petals better. In this photo she has opened past this stage. 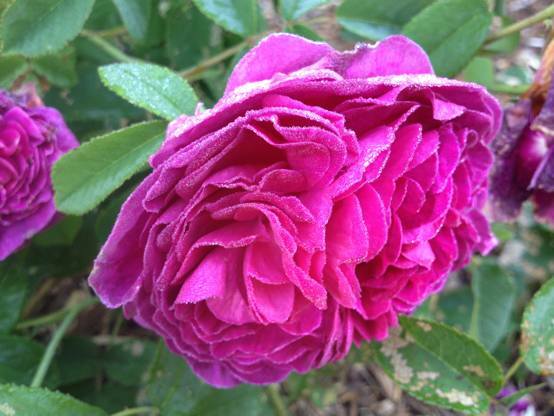 This is an ancient mother Rose from which many other Roses descended including Charles de Mills Rose. 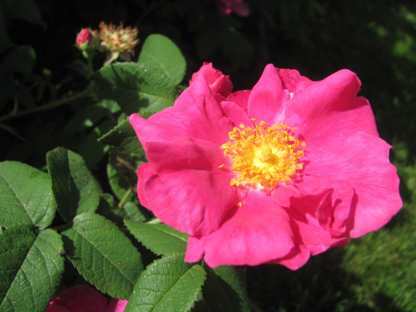 For centuries Rosa Gallica was grown for its medicinal uses thus it is also known as the Apothecary’s Rose. 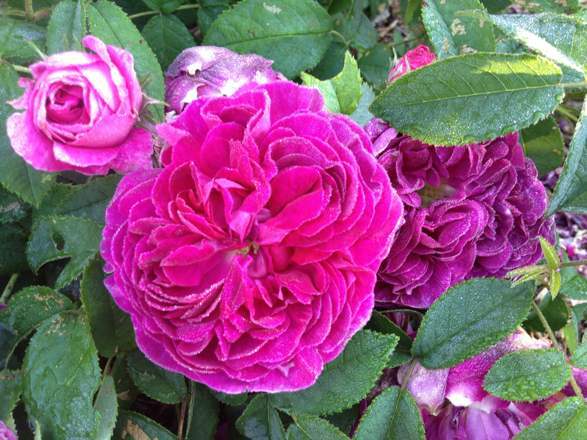 Rosa Gallica helps us establish and improve the interface between our own electrical system and the electrical grid of Earth. More specifically it helps us align and ground to the heart of the Earth versus the surface of the Earth. This is a purer, deeper connection to our planetary home and one that is more stable and supportive than grounding to the surface of the Earth. To understand why this is so, consider how a heartfelt connection with another person is more profound than a surface connection. 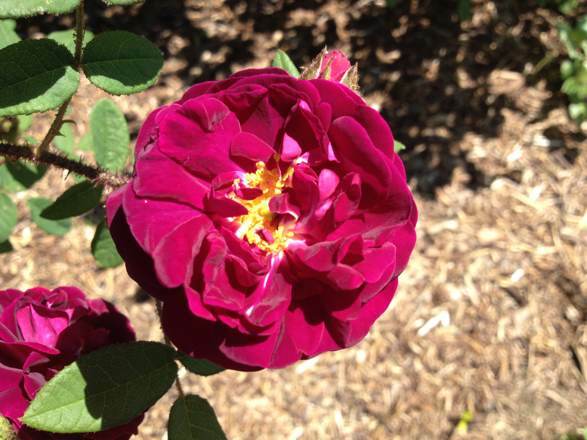 By helping us plug into the electrical grid of the heart of the Earth, Rosa Gallica helps us be more present, more effective, more grounded, more light filled and more in the flow of our lives. I AM the full expression of my light. 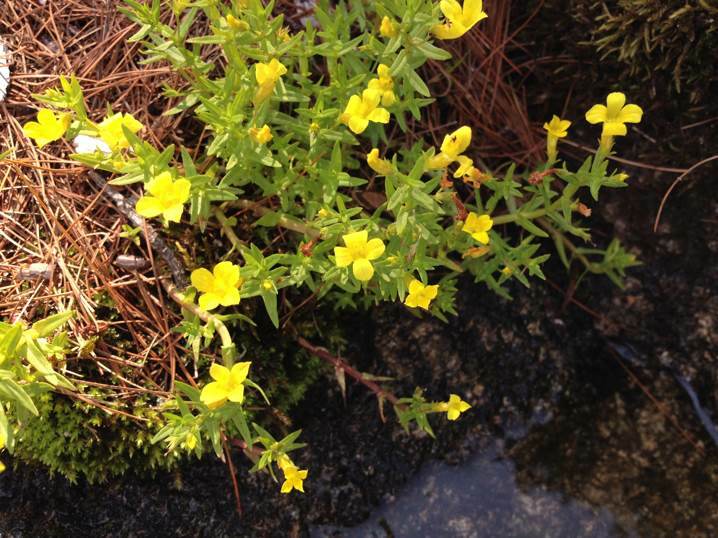 The Monkey Flower family has been calling to us loudly. We now have four different Monkey Flower Essences on offer. This purple variety specifically helps those of us in abusive situations to find shelter and regain our energetic vitality and sense of wholeness even if these have been badly damaged. Additionally, this Essence helps us stay out of focus so those that might hurt us don’t notice us as easily. 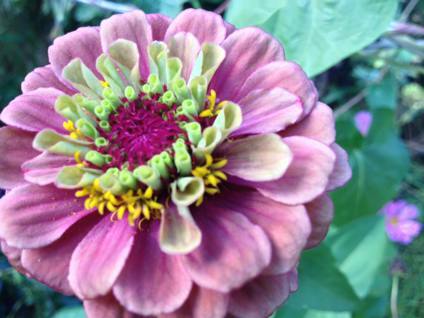 This Flower helps us stay out of sight almost to the point of invisibility. It is a very strong plant ally. I AM beyond the reach of any harm. I learned about this ability of Square Stemmed Monkey Flower to stay out of focus when trying to take a photo of the Flower. It required meditating with the Flower, explaining my purpose and asking the Flower’s permission to be photographed AND three of us taking photos before we got anything but photos like this. White Mulberry’s photo will be here shortly! As the sole food of voracious silkworms, White Mulberry has been chained to the ego dreams of fortune seekers for tens of thousands of years. In New England the silk industry boomed and busted in the early 1800’s. White Mulberry trees fueled many get rich quick schemes in the region. The industry collapsed when a Mulberry blight killed most of the trees. When I found an elderly surviving White Mulberry blooming with abandon, I knew its Flowers would hold a unique wisdom. 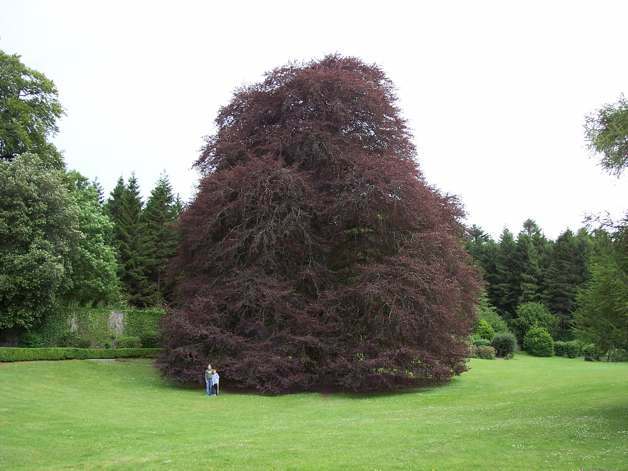 A tree’s destiny, like our own, is to express its true self. This White Mulberry was warped to fuel other’s desires yet matured beyond its original imposed role. In its wise old age it offers us information about the territory beyond the cycle of being consumed by others or consumed by false obligations. -Excellent for those in recovery from relationships with narcissists or other selfish or abusive people. I AM the enduring reality of my divine self poised to begin anew in expression of my truth. 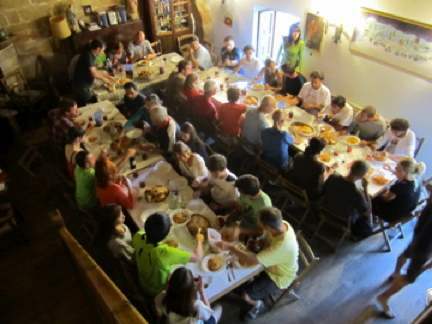 On the Camino de Santiago de Compostela there are hostels called albergues where pilgrims can get a bed and perhaps a dinner with fellow pilgrims at the end of each day’s walk. 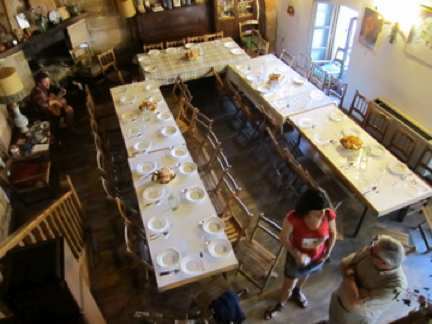 On Lizzy’s third trip down the Camino she took these two photos of a pilgrim dinner table before and during the rush of hungry pilgrims. This summer was filled with moments like this when the farm’s three big kitchen tables were flooded with staff, family and an abundance of produce and then just as suddenly empty and waiting for the next gathering. It is much easier for me to say hello than goodbye, but it helps me to remember that even as the departing pilgrims go out of sight down the trail, they are still on the Camino, still on their journey. Here was one September night at the Green Hope Farm albergue with pilgrims coming and going. It was Grace’s second birthday. Katie Carpenter is on the left, Lauren Lenz is in the middle and Molly Sanders is on the right. 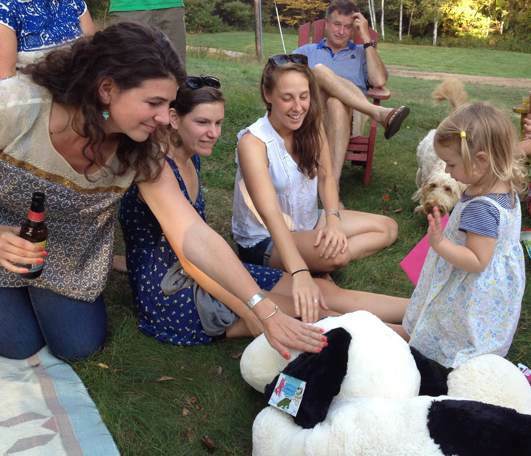 Grace is making sure they pet her new stuffed dog “Tiny” carefully. Katie’s Camino was taking her to Pennsylvania almost the next day. Lauren’s Camino was bringing her back to Green Hope Farm for another stint working here. Molly Sanders was getting ready for the next twist in her Camino, a travel plan that includes her next sure destination, Patagonia. 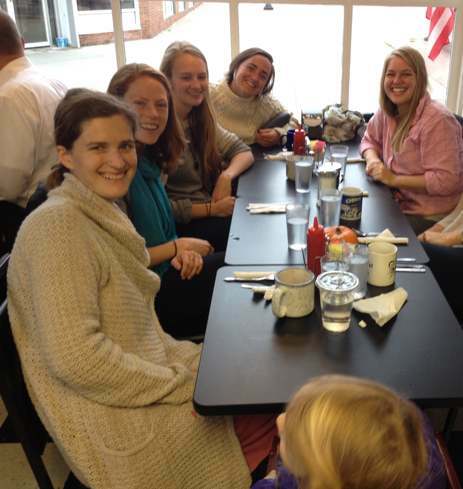 And here are some of the pilgrims who are at the Green Hope Albergue right now- From the left around the table- Elizabeth Sheehan, Clare Smith, Laura Carpenter, Alli Howe, Eliza McLellan and of course GRACE. We are out at breakfast to say goodbye to Molly Sanders so none of us were feeling THAT cheerful as Molly Sanders is an absolute ray of sunshine, and we will miss her very much! I am sorry Molly is not in the photo! The breakfast really WAS all about her! Clare and Eliza are brand new, and I am so happy to welcome them along with Lauren to the GHF albergue! Alli, Lizzy and I are teaching them all the different jobs to fill the gaps left by Miguel, Molly, Katie and Laura (who is only here part time now). After running the GHF office for almost two years, Miguel has taken a job in his field of International Relations at the Tuck Business School at Dartmouth. We are so happy for him that he is doing what he loves. He is helping Tuck students organize short term work projects for NGOs in third world countries. As he ran an NGO called Solar Aid in the country of Kenya before coming to Green Hope Farm, this job is right down his alley and a perfect place for him to continue his Camino. Molly has flown south- very far south to the southern most tip of the Americas, and Katie is doing more web design work from her home in Mount Gretna, PA. Fortunately her next stop on the Camino leaves her free to keep helping the albergue she left behind- She gets a lot of emails from us- A LOT! So that’s the census at the Green Hope Albergue! Tonight anyways! I am close to finished transcribing the definitions for the 2014 New Flower Essences! Effort and Grace will finally have a description as will the other gems of the season! Look for this next week on the blog! Yahooooooooo!